If your little ones are anything like mine, then they love to chew on everything so we’ve decided that wooden toys for toddlers are the best gifts this year! Wooden toys for toddlers are amazing because they are perfect for both boys and girls. I love that there is an added dimension of imagination that toddlers engage with when they play with wooden toys rather than electronic toys. 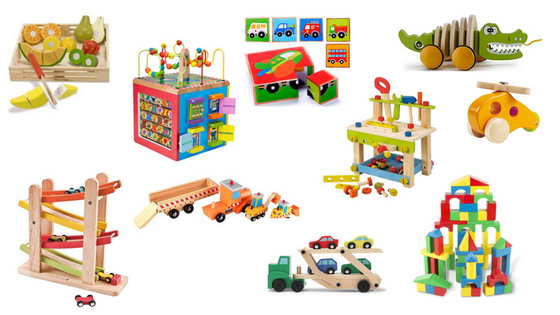 Here is Smart Cents Mom’s top choices for wooden toddler toy gifts!